Taking a closer look at the image you can see that the digital to audio converter has been incorporated into the speaker driver. One can only assume that the power equation on the right results in less that the one on the left! Obviously having an all digital path can reduce interference and improve signal quality too but quite how much of that is relevant on 20mm speakers is not clear! How much power is this going to save? We’re talking milliwatts here, possibly just tens of milliwatts but that’s what it’s coming to know. Every milliwatt saved is longer battery life. 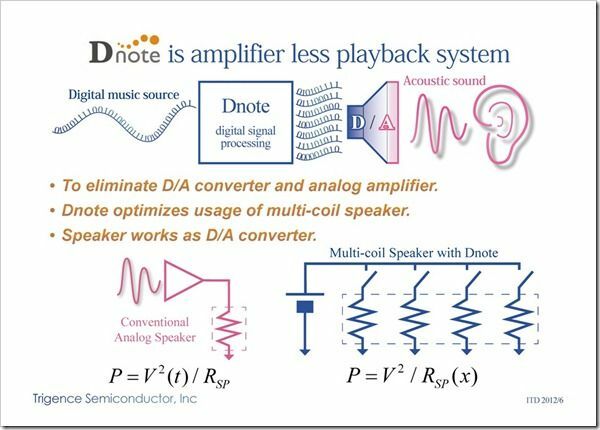 what would this new technology actually do, is it all about having found a way to be more energy effient in the build of laptops due to lower energy consumption or is there some benefit in terms of somehow edhanced sound part of it all to? Both. 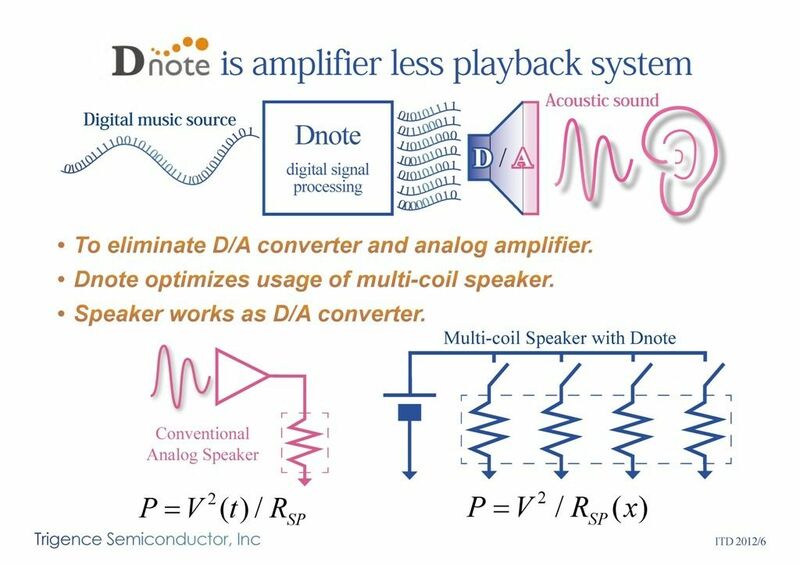 Direct driving analog audio using digital signals supposedly allows for higher sound quality while using lower power. As in my comments though, it’s not a huge power saving and the increased quality is probably not going to be heard through the tiny speakers on Ultrabooks. « Dell Working on the XPS 12, a Duo-like Convertible Touchscreen Ultrabook?